Where: Bus leaves Living Hope Fellowship Church, 326 North Liberty Drive (Route 9W), Tomkins Cove, at 8:45am; trip concludes at 2:30 pm, after lunch at Sheeran's Restaurant. 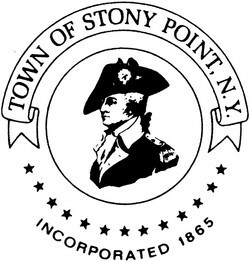 The 2017 History in Your Own Backyard series has been made possible by a generous contribution from the Town of Stony Point. We also thank Living Hope Fellowship Church and St. John the Divine Episcopal Church for sponsoring the Historic Houses of Worship tour. Bus leaves Fireside Steak Pub, 8 North Liberty Drive (Route 9W), Stony Point, at 8:45am SHARP. Includes bus transportation, tours and lunch at Fireside Steak Pub. 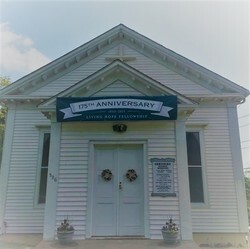 We will tour by bus several historic cemeteries, including First United Methodist Church, Casscles, Mount Olivet, Waldron, Rose Family, Old Rose, and more. Although we will be disembarking at two or three cemeteries, these stops will not involve a lot of walking. Bus leaves commuter parking lot across from Lynch's Restaurant, 79 South Liberty Drive (Route 9W), Stony Point, at 8:45am SHARP. Includes bus transportation, tours and lunch at Lynch's Restaurant. Our bus tour will travel to sites of several historic and well-known points of interest, including Stony Point Battlefield and Lighthouse, Letchworth Village, the Gilmor Sloane House, Pyngyp Schoolhouse, and several others. FOR INFORMATION ABOUT RESERVING SEATS FOR THE SEPTEMBER 16 AND NOVEMBER 18 TOURS, contact us by phone at (845) 634-9629 or by e-mail at info@RocklandHistory.org.